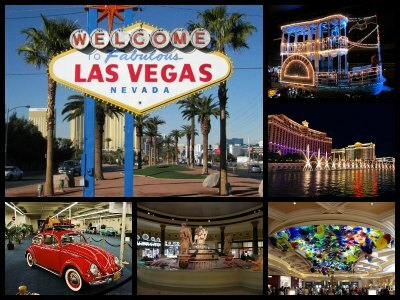 Below are must-see Las Vegas tourist attractions for every age, interest, and budget. World-famous Cirque du Soleil shows, top notch stand up comedians, nightclubs, pools, landmarks, parks, activities for tourists - Vegas has it all to keep you entertained for a few months! Many of the attractions and activities recommended below are unique to Las Vegas - you can't find anything like that in the entire world! 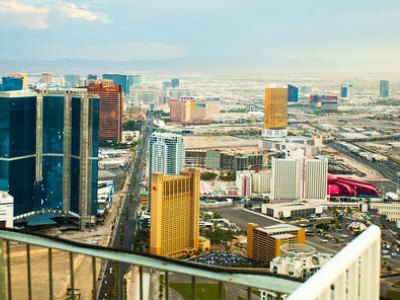 Below you will learn about the most exciting Las Vegas points of interest - the most unique, fun and exciting Las Vegas points of interest on the Strip and downtown. After all, we live for the experience, right? The iconic setting for movies, books and songs! A visit to the Strip is one of the most famous Las Vegas tourist attractions. Glitz, lights, glamour and money, money, money, the Las Vegas Strip is home to the most famous hotels and casinos in the world. 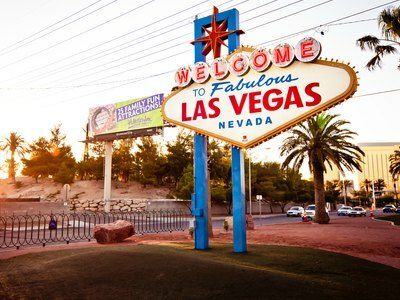 Book your stay on the Strip, take a stroll and spot the celebs and beautiful people hiding behind designer sunglasses. Eat, drink, party, try your hand at the slot machines, watch a show and then dance till dawn. The Strip never sleeps. 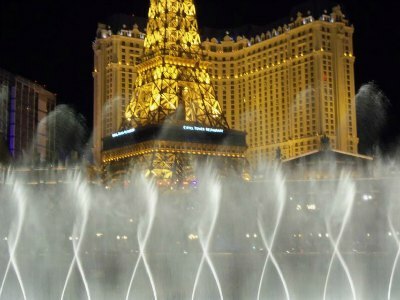 See the famous spots like Treasure Island, Paris, The Golden Nugget, Bellagio and Caesar’s Palace. The world's trendiest clubs and restaurants are located here. This adult fantasy land will take your breath away. From Cirque du Soleil to dramatic architecture, Ferris wheels and retail therapy, you will never get bored. When you have had enough on the ground, enjoy a different view of the Strip in a breathtaking helicopter ride. 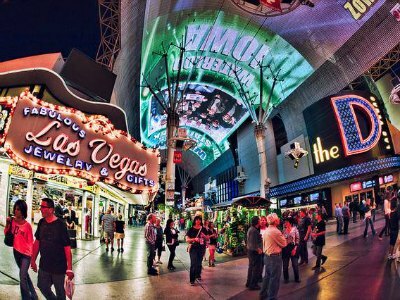 Although the main focus of Las Vegas has shifted to the Strip, a visit to Downtown is something you must do in Las Vegas. Downtown offers a plethora of Las Vegas tourist attractions. 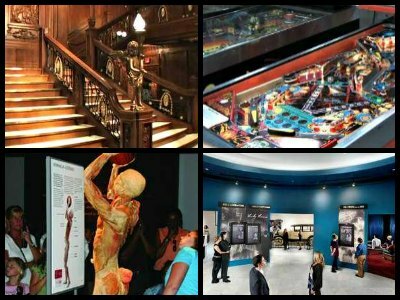 Historians will be delighted to explore the History Museum and the Mob Museum. The Neon Museum is unique in the world, housing a display of old Las Vegas neon signs that came from demolished buildings or businesses that closed down. Experience Fremont Street which includes the Moulin Rouge, the first hotel in the city to become racially integrated. This street is also famous for the Fremont Street Experience. Be awed by a sound and light show comprising over two million lights and the world's biggest audio-video system that creates an unforgettable experience. 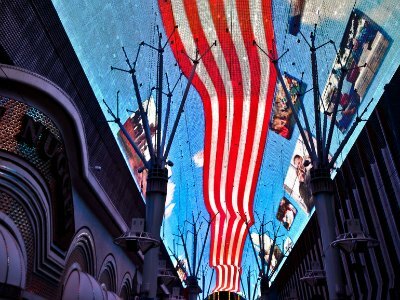 Depending on your mood, you can take a walking tour down Fremont Street that focuses on food, history or art. Visit fascinating off-the-main-track spots while knowledgeable guides give you detailed information as you stroll along. See where Frank Sinatra and friends hung out and visit the iconic Gold & Silver Pawn store, made famous in the popular TV show, Pawn Stars. TV addicts now have a reason to get off the couch! Join this tour of the famous Las Vegas tourist attractions and meet the famous stars that grace your screens, in person. You will visit a number of venues, spending 20-30 minutes at each. 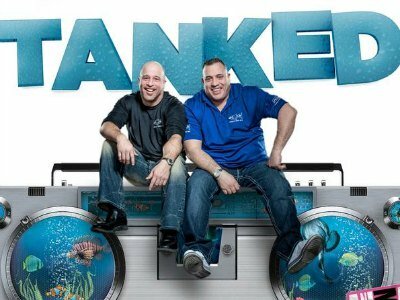 Start off at the setting of Tanked, where you will see how these incredible fish tanks are produced. Discover where Pawn Stars is filmed and be awed when you see the actors, like Rick Harrison, in person. Stop at the iconic shop, Ultimate Sports Cards & Memorabilia and buy a souvenir to take home. American Restoration, Counting Cars, Toy Shack are also on the list of must-see attractions you'll visit. Meeting the stars is subject to their filming schedules, be sure to check first with the tour operator. 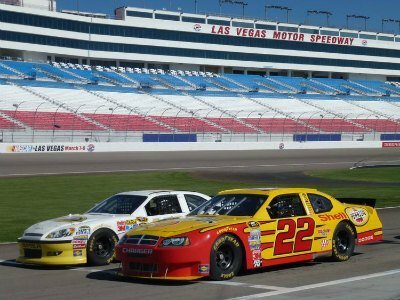 If you are feeling the need for speed, then a visit to the Las Vegas Motor Speedway is a must. This iconic Race Track hosts the NASCAR Sprint Cup Series and the Las Vegas 400. The complex is world renowned and offers seating for over 150000 spectators. This famous Las Vegas tourist attraction features a 1.5 mile super speedway as well as a dirt track that is used for the Indy League. Get into the mood when you sit in the grand stands and hear these amazing race cars scream past. The world's best drivers race here! Sit in the Neon Garage, a first class fan area located directly in front of Winner’s Circle. You can also get close to pit road to see all the off-track action. The brave can get out of the stands and into a real car with a professional driver. Car lovers must experience this amazing drive opportunity. There are a number of different options to choose from, how about a drive in a V8 Corvette or a few breathtaking laps in a Corvette Z06? You will never run out of attractions in Vegas, and the most well known neon sign in the world has to be the 'Welcome to Fabulous Las Vegas' sign. The sign is actually situated outside the city in the nearby town of Paradise, but no-one minds! This sign has inspired movies, books and TV shows. Park in the parking lot and snap your pictures of the 25 foot high tower. You will have Las Vegas in the background for a stunning photo scene. This iconic sign was given a place in the National Register of Historic Places in 2009, 50 years after it was first lit up. Once you have this picture you know that you have truly arrived in Vegas, Nevada. Everything on the Strip is larger than life and a night out at the Bellagio Fountains is a fun free Las Vegas tourist attraction. The Fountains are located in a man made lake set in front of the famous Bellagio Hotel. The designers took their inspiration from the original fountains in Bellagio, Italy, at the Lake Como Resort. Enjoy a romantic show set to music and watch the choreographed water jets dance in dazzling displays, shapes and forms in stunning colours. The shows range from classical music to modern day pop and will suit all tastes. Watch a few, you will never see the same display more than once. The technology and theatrical display cannot fail to impress and the majestically elegant Bellagio Hotel as a backdrop makes for picture perfect scenes. There is a show every half hour from 3pm in the afternoons to 8pm at night and every 15 minutes from 8pm to midnight. 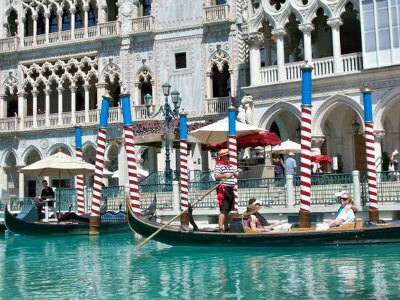 A great Las Vegas tourist attraction that is ideal for romantic couples and for families is a Venetian Gondola Ride. Located within the Grand Canal Shoppes at the Venetian, the Venetian Gondola Rides will have you relaxing on the water as you cruise the Venice style canals. While you are riding on the gondolas, you will be serenated by your gondolier who will also fill you in on interesting stories about Las Vegas and the original Venice Canals. The Venetian Gondola Rides are a great way to enjoy a soothing ride on the water inside climate controlled area where your eyes will feast on incredible murals that are reminiscent of the Venice. Outside the pristine garden is tranquil and always in bloom. When you are finished make sure you indulge in a little shopping or dining within the Grand Canal Shoppes where you will find a little piece of Italy on corner. 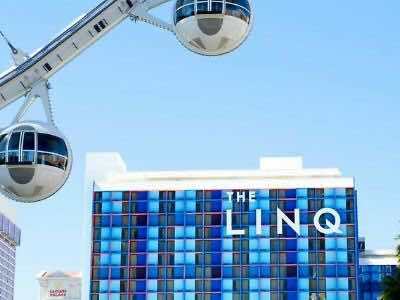 One of the best Las Vegas tourist attractions that offers unparalleled views of the Strip and is perfect for all travelers is the High Roller at The Linq. 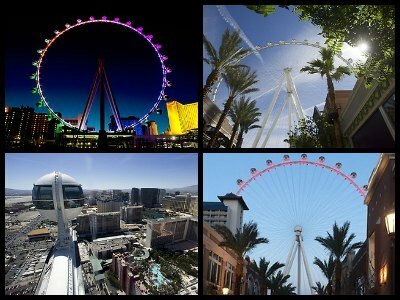 The High Roller is the tallest Ferris/Observation Wheel in the world and towers over the Strip at 550-feet. Each of the 28 attached cars boast an unbelievable 360-degree view of Sin City during your 30-minute ride that is sure to please everyone. Once on board you have several options you can add-on from a bottle of champagne to professional photographs to handcrafted cocktails and you can even get married on the High Roller which offers one of Las Vegas’s most unique wedding venues. Whether you want to experience the ride during the day and peer out into the Mojave Desert or night where the neon lights will have your eyes popping, the High Roller will exceed all expectations. The Virtual Reality Experience in Las Vegas is one of the more unique Las Vegas tourist attractions for all walks of life that want to play in the virtual reality world. Located on the LINQ Promenade, the Virtual Reality Experience in Las Vegas will blow your mind while you delve into one of four virtual reality scenarios. Once inside you will don your virtual reality googles and be right in the thick of the action in a 3D atmosphere. 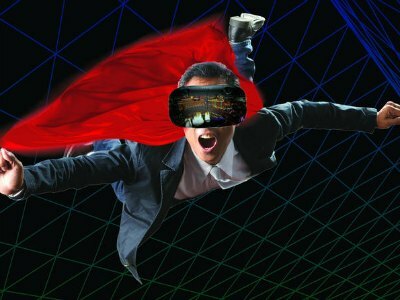 The four virtual reality scenarios include Fly ‘n Shoot where you are flying over the Alps while being chased by enemy drones; Screaming Skydive will have you on a virtual reality zipline that takes you over Las Vegas where you will then parachute onto the Strip; The House of Horrors puts you in the middle of a haunted house filled with zombies and ghosts; Soaring Superhero has you in the air above the Strip chasing hundreds of hot air balloons. Each of these 5-minute virtual reality experiences are loaded with intriguing twists, turns and fly-time for you to maneuver through the world of virtual reality. 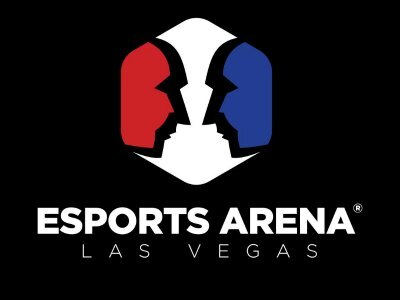 One of the more technologically advanced Las Vegas tourist attractions is the Esports Arena where patrons can play and watch the hottest new action in Esports. Located within the Luxor Hotel, the Esports Arena is a 30,000-square foot space that turns into a high-tech gamers dream come true. The arena has everything a gamer and a spectator of Esports would need such as a competition stage, 50-foot LED video wall, VIP lounges, an upscale restaurant by Chef Jose Andres and a production as well as broadcast studio. There are state-of-the-art gaming consoles for all the newest games and the vintage video game consoles are a hit with every gamer. Gamers and Epsort spectators can purchase a variety of packages from competitions to solo play to team Esports and there is always some sort of weekly tournament for all gamers to enter. Jettisoning into the air with brilliant colors and formations is an intriguing Las Vegas tourist attraction named the Seven Magic Mountains created by Swiss artist Ugo Rondinone. Located 10-miles south of Las Vegas near Jean Dry Lake within the Ivanpah Valley, the Seven Magic Mountains has been attracting visitors as well as selfie takers since opening in May 2016. 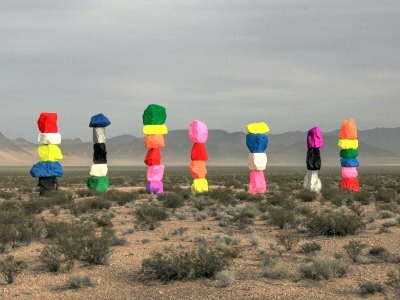 The interesting pieces of artwork are composed of seven prolific stone mountains or columns constructed of boulders which are painted in a variety of rainbow colors. The colorful stone mountains rise into the Mojave Desert sky for 30-feet and are surrounded by numerous mountain ranges that boast the perfect backdrop for photographs. Friends, families and groups of strangers already know that Escape Rooms are one of the best Las Vegas tourist attractions to visit when you want to indulge in fun and solve interesting puzzles. Patrons are amazed at the intricacies of each game that are perfectly thought out with exciting challenges at every turn. Escape Rooms in Las Vegas offer team challenges that need to be completed and each question of the riddle must be answered or the whole team may perish. There are a variety of exciting scenarios at each location which may have you creating a vaccine to cure a plague to fighting zombies to solving a Sherlock Holmes style mystery and there are futuristic rooms that will have you flying a spacecraft or being chased by a scary SAW villain. The challenges are endless at escape rooms but your time to escape is limited to one hour. One of the more adrenaline filled Las Vegas tourist attractions for everyone including families to experience is to visit one of the many stellar shooting ranges in Las Vegas. You can hear the crack of every round once inside these facilities that boast a unique experience for gun and firearm enthusiasts. Your mouth will drop when you see the collection of firearms available to shoot that range from Berettas to an AK-47 to a M60 which is sure to blow you out of your shoes. Each facility offers state-of-the-art firearm training and unique shooting ranges that can include inside action on an urban oriented course or outside action while cruising in a Humvee in a desert location. Packages can easily be customized to suit all types of shooters from novice to expert, which make shooting ranges in Las Vegas one the best values in Sin City. If you have ever wanted to be in the center of a virtual reality game based on numerous scenarios, then the Void is the best Las Vegas tourist attraction for you to visit. Located in St. Mark’s Square within the Grand Canal Shoppes, the Void is an interactive virtual reality game that puts you right in the middle of the action. 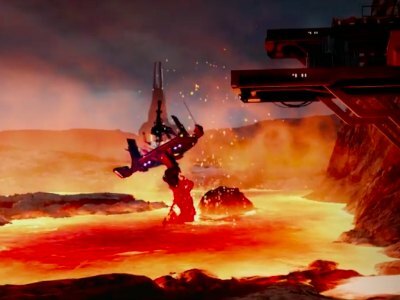 The Void has teamed up with Lucasfilm and ILMxLAB to create a stunning game based on Star Wars: Secret of the Empire. When you enter you will be face-to-face with Stormtroopers and will have to solve several puzzles in order to activate your blaster to help escape from the dangers. You can also choose Nicodemus: Demon of Evanishment which is based on the 1893 World’s Columbian Exposition where you will discover unknown creatures. The creatures are luring people into the Evanishment Room where they disappear and you must stop them after solving complex riddles that will blow your mind. Collectors and lovers of vintage memorabilia will be delighted at the Neon Museum - an unforgettable Las Vegas point of interest. A museum may not sound as if it fits into the glitz and glamour of Sin City. Over the years many hotels and businesses have closed and old buildings have been replaced with new ones. Many of the old neon signs that branded these establishments have been lovingly collected and are on display in the Neon Museum. 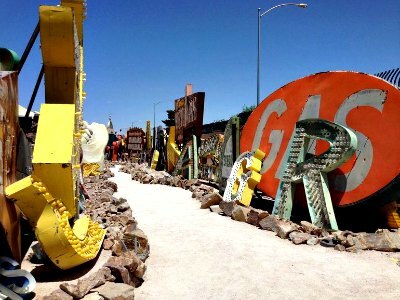 The Museum is also known locally as the Neon Boneyard! There are over 150 discarded signs to be seen. Iconic names like Moulin Rouge, Stardust, Desert Inn, Flamingo and Aladdin will send shivers down your spine. This unique art form of neon signs is part of what makes Las Vegas famous and the old signs are beautifully preserved in one of the world's most rare and unusual collections. The Museum must be visited on a guided tour. Your knowledgeable host will take you through the 2 acre exhibition and give you a fascinating insight into the signs and the history of the businesses that they represented. A chance to see dolphins and large cats in the same location should not be missed and this is another Las Vegas tourist attraction not to miss. Set off to the Mirage Hotel, where the iconic Siegfried & Roy staged their first animal show in the 1990s. Today, visitors can see the animals in their natural tropical environment. The big cats are kept in an area called the Secret garden, an exotic location that will thrill animal lovers. See leopards, panthers and rare white lions. 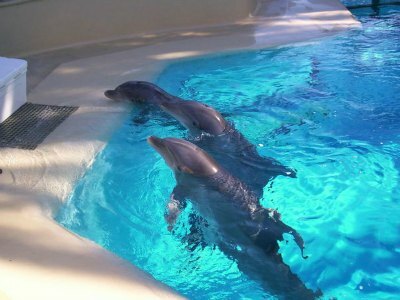 The bottlenose dolphins are found in the Dolphin Habitat, a massive 2.1 million gallon water tank surrounded by a natural environment of palm trees. Special underwater viewing windows make for a enchanting experience. Don't forget to buy a mini dolphin souvenir to take home! If you really want to get up close and personal, there is a 'Trainer for a Day' experience where you can work with the staff and the animals. 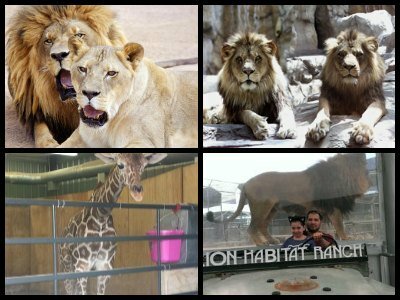 Visiting a Lion habitat is probably an unexpected Las Vegas tourist attraction, but this is a city of surprises! Take the family and enjoy a day out getting close to these Kings of the Jungle. The venue has over 40 lions and their cubs on display in natural surroundings. The Habitat also acts as a Conservation Centre and interesting talks will educate you about the fabulous work done here to protect and breed the lions. You can also see ostriches, giraffe and emus. Sit and enjoy a picnic in the designated area while the huge cats stroll around you, it is an experience to last a lifetime! If you want to be more hands-on, there are feeding sessions that you can take part in. For something special, book a 'Behind the Scenes Tour' which is designed for small groups of up to 10 people and is guided by professional lion trainers. Everything in Vegas is unexpected and a visit to a shark reef that is housed inside one of the hotels is the next amazing Las Vegas tourist attraction. 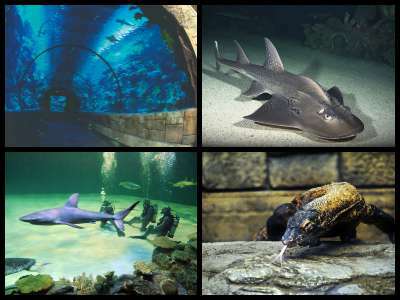 Set off to the Mandalay Bay Hotel and Casino where you will find an Aquarium with a display of over 2000 animals. This is a perfect day out for the whole family. The aquarium features 14 exhibits that are showcased in more than one and a half million gallons of water. Walk through a clear acrylic tunnel under the water and see the sharks swimming around. The sensation is mind-blowing. There are 15 species of shark including Galapagos sharks, zebra sharks and grey reef sharks as well as a host of other marine creatures like sea turtles, crocodiles, piranhas, parrotfish, angelfish, Moray eels and jellyfish. Children will love the touch pools where they can feel the creatures, excluding the piranhas off course! You can do the tour at your own pace and educational displays along the way provide you with all the fascinating facts. The real life video game is another mind-blowing Las Vegas tourist attraction. This shooting range located near to the Strip offers role playing games with weapons and combat outfits. 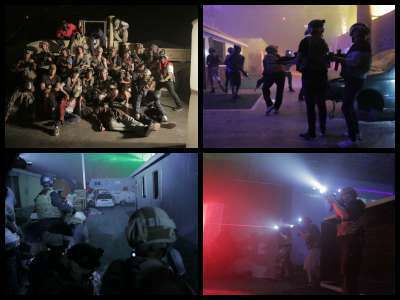 Massive production sets with real life scenes and Zombies add to the experience. Team leaders who were former Navy SEALs, Green Beret and Delta Force Operators will give you combat training before you set on to conquer the enemy, human or not! Learn about shooting and do target practice, find out how to seek and discover hidden clues about your enemy, get alert and tuned in to danger! Kids and teens will be thrilled and will want to come again. Are you ready to save Planet Earth from the apocalypse? There are a range of courses and themes to choose from, so you will never get bored. 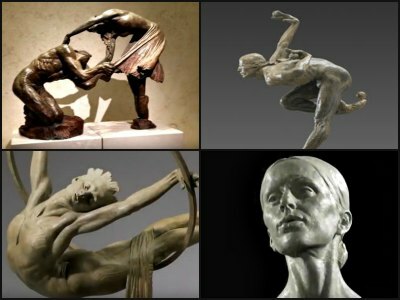 The Art of Richard Macdonald - Free! For those who aspire to the unusual and quirky, discovering the art of Richard Macdonald is another wacky Las Vegas tourist attraction. His art is showcased in the gallery at the O Theatre. The sculptures are inspired by the surreal characters of the Cirque du Soleil. Acrobats are featured in striking poses, showing their skills, movement and almost superhuman poses that will leave you gasping. Some of the statues took more than eight years to complete. This exhibit is known as the neo-figurative movement and if you haven't ever heard of that, don't worry, you have now! Take your time, there are over 50 bronze pieces to wrap your head around. After the madness of Sin City, you will probably need some Las Vegas tourist attractions to chill out and relax. 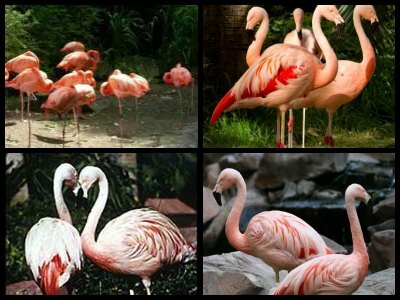 A visit to the Flamingo Wildlife Habitat is the perfect choice. Set in a beautiful garden with a pool you will find dozens these delicate pink birds, strutting around and creating picture-perfect scenes. There are also a range of other birds on show like ducks, pelicans and black swans. Relax and eat at the hotel restaurant while you watch the birds being fed and cleaned. Then stroll to the pool and see the most amazing collection of Koi. This is a lovely calm area in the middle of the city to catch your breathe before plunging back into the glitz and glamour again! 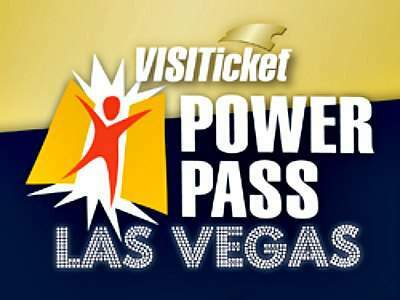 Whatever your budget, Power Pass will offer you multiple discounts in many Las Vegas points of interest. It's especially invaluable for families with kids, because it includes many family activities plus an exact location of places to visit in Las Vegas. Fremont Street Experience is a must-visit downtown Las Vegas tourist attraction. Open 24 hours a day, Fremont Street attracts thousands of tourists every day with its old Vegas vibe, glittering lights, world-class canopy with free light shows, free live music, hotels, bars and restaurants. Many people say that Fremont Street Experience is even more fun than the Strip! 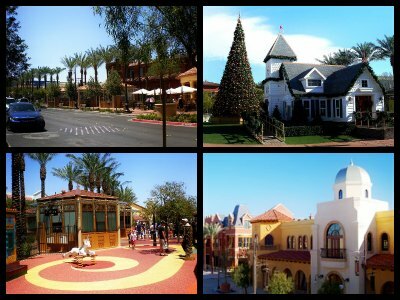 If you want to experience something different - Town Square is one of the coolest Las Vegas points of interest. This is not just a shopping mall - it's a complete entertainment complex with restaurants, movie theater and stores that can meet all your needs. Town Square among unique Las Vegas tourist attractions because it's designed as a small picturesque village, which contrasts with the design of ambitious Las Vegas resorts along the Strip. CityCenter is a new and gorgeous complex of hotels, restaurants and stores built in the center of Las Vegas. 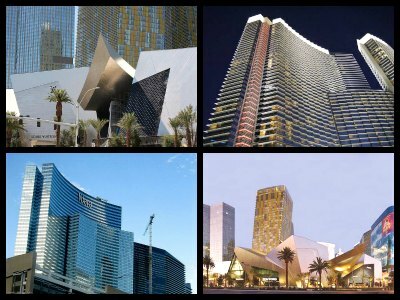 It's different from the rest of the Strip and easily noticeable thanks to the crystal-like shape of its buildings. You can't miss it when driving or walking down the Las Vegas Strip - so be sure to visit it's cool attractions. The Linq offers a huge range of entertainment options on the Las Vegas Strip. The newest Las Vegas tourist attraction, The Linq is an outdoor entertainment and retail plaza with the 550 feet high observation wheel, the High Roller at its heart and surrounded by restaurants, stores and bars like O'Shea's Casino, Koto Gift Shop, Polaroid Museum and more. The Brooklyn Bowl that will open soon at The Linq will be a large music hall that will also have bowling lanes, live performances, nightclub and several eateries. Located between The Quad and Flamingo hotels, The Linq will open in phases and will have close to 40 restaurants and shops. 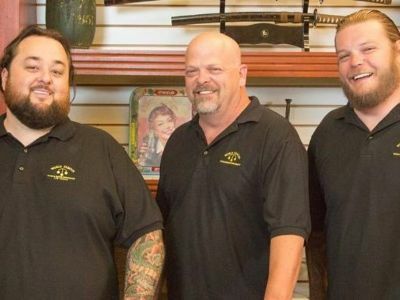 Since 2009, Pawn Stars has become one of the most popular shows on History Channel. The pawn shop featured on the show is located on the Strip, and is one of the most popular Las Vegas tourist attractions today. If you're lucky, you might be able to see the stars featured on the show. The Gold and Silver Pawn Shop is home to thousands of very unique and interesting items. Browse through the store to see rare jewelry, antiques, artwork and items of historical significance. The store itself is located in a building dating back to 1934 and is among the oldest on the Vegas Strip. 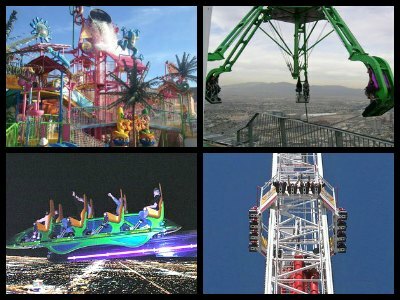 Vegas boasts some of the most insane and awesome thrill rides in the word! From the enormous indoor amusement park Adventuredome, to the roller coaster spinning around an entire hotel, to the Wet N Wild waterpark to scary rides on top of the Stratosphere Tower - there are plenty of Las Vegas tourist attractions for adrenaline junkies! Of course there are free Las Vegas tourist attractions and plenty of things to see for free! Almost all (with a couple of exceptions) free attractions are great and safe for kids and a teens. 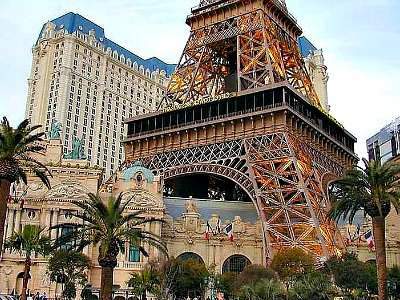 For a taste of Paris in Vegas, visit the most romantic place - Eiffel Tower at Paris Hotel. Soar above the city in a glass elevator in the second tallest building in the city and admire Vegas from the observation deck. Eiffel tower in Vegas is almost like the real thing, except twice as small. Although it's not as tall as Stratosphere Tower, it offers great views of all Las Vegas tourist attractions. Plus, it's located directly across the street from dancing Bellagio Fountains and offers a different angle of this amazing free show. Not surprisingly, Eiffel Tower is a romantic hot-spot, a perfect place to make a marriage proposal and get married. If you are here for the romance, dining at the Eiffel tower restaurant is a great addition to your romantic evening! Anyone who is familiar with "American Restoration" on the History Channel would know Rick's Restorations in downtown Vegas. Owned by Rick Dale, this restoration company is known to restore some of the most challenging items to its earlier, original state. This shop is open for visitors and this is the location where the crew restores items and transforms them into collectibles. You will be able to browse through a variety of restored items and even purchase some of the valuable collectibles ranging from juke boxes and vintage telephone booths to roulette wheels and coke machines. If you're lucky, you might be able to meet Rick or one of the crew members. Despite everything you might have heard about the city, there are plenty of Las Vegas tourist attractions for kids and families! Again, considering you might not have enough time for them all and might need a few pointers, we suggest the following most interesting places to visit in Las Vegas with kids. Become part of the iconic Avengers experience at this fun Las Vegas tourist attraction. You will be taken to the Marvel's Avengers S.T.A.T.I.O.N, the Scientific and Tactical Intelligence Operative Network, where your guide will brief you. See the classified studies, the experiments and the intelligence files and then decide who you want to engage with. You will be on a mission to assemble intelligence and locate the enemy! Once you have achieved your goal, take a bow and a get a certificate. 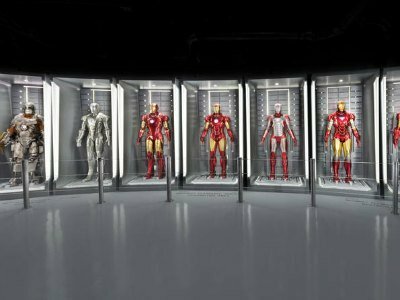 Afterwards explore the range of memorabilia belonging to superheroes like Captain America and Iron Man. Ideal for the whole family. If you are a fan of the TV show, Tanked, this is a Las Vegas tourist attraction that you cannot miss! Take a visit to the ATM, Acrylic Tank Manufacturing Facility where the actual show takes place. For those who don't know, this is where they make insanely huge fish tanks that enthral addicts the world over. Wander around the 37000 square foot venue and see the fish-tank makers, the animals and macaws that live here. You may even bump into one of the famous stars of the show like Wayde, Brett or Robert Redneck. Your guide will give you an in-depth lesson on how the tanks are made, together with some insider anecdotes! 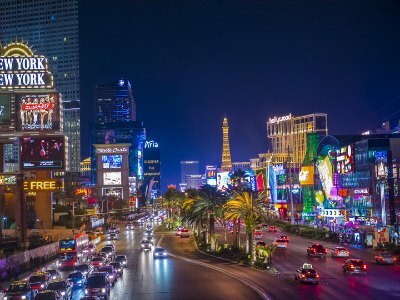 If you are visiting Las Vegas for the first time, check out also lasvegas4newbies.com for tips for newbies!